What are your dreams for this New Year? Four years ago my dream for the New Year and my family’s future was very different to current reality. Happily enjoying being a mother of one after an arduous wait of nearly ten years. Life was pretty much near perfect. Only one thing missing. Another child and the curtain could be fully lifted on our longed for family production. The scenes were written. The set was ready. Tickets were sold. Family and friends only too eager to join us for our opening night. Baby number two would complete our family and we could live out my dream. Happy family doing happy family things. This was what God intended for us, I felt sure. Setbacks and glitches…well we knew there would be some along the way. We were prepared for a few first night nerves even. After all, our first ‘pilot’ show hadn’t exactly been smooth. The main characters (mother and baby) ending up close to death in intensive care at 29 weeks pregnant whilst doctors prepared the audience (family) that the show might not go on. Thankfully it did and despite the difficulties, the ‘show’ went onto receive rave reviews. Nothing short of a miracle in fact. Second time around and the performance would run smoothly. Preparation was key. Expectation was at an all time high. Somehow though, we had unwittingly prepared a different script. Our script began with an announcement. Baby number two is on its way! God has blessed us and we are going to be a family of four. As if being a family of three, or two or whatever was any less a blessing, but that’s the naive way I thought back then. In order of appearance, the doctors came on just after the main players. This time everyone was prepared. Ready to avoid the complications of last time. All would be well. We were ready to go. Scene two arrived and someone threw away our script. The Sonographer went quiet. Then she left the room. I stared at the ceiling. Alone on the bed; my husband had,at my suggestion, not taken time off work, preferring to save any leave for when we really needed it later on. Trying to be brave. Trying not to cry. On stage walked the cheery consultant. I knew him well from the first show. He saved my life in scene 4. He saved the show. Everything would be fine. The smile was the same but the lines he delivered were not. Though he was gentle in his words all I heard was the uncut version. Your baby is unlikely to survive the pregnancy. And, if it does, it may well have serious heart problems as well as some kind of syndrome. He rattled off the names…Edward’s, Turner’s, Noonan’s or Down’s. If I tried not to cry it was pointless. Silently, I screamed. And the curtain came down on my dream. 6 months or so later, though it felt like a lifetime, our beautiful little girl with an extra chromosome was born. Against the odds. A new script was being written. Oh, there were many times in those early days that I wanted to revert to the original. If I’m honest, I still do sometimes. No parent wants their child to face the kind of suffering and difficulty that Hazel has sometimes had to face. We see more of the medics than we do our neighbours and we even now have our own parking permit for the Children’s Hospital! So, naturally, I crave a better existence for her. What parent wants their child to face discrimination, stigma and rejection? Do I wish that she didn’t have Down’s Syndrome? Yes. Often at first, now only occasionally so. But what I am really longing for is for her to live in a world that doesn’t reject her, discriminate against her or believe that it would be better off without her. Into Scene three or was it four? The curtain had lifted on a new play. It looked very unlike the old script – at times resembling more of a pantomime with the constant change in scenery, characters and plot. One moment we were booing and hissing as another wretched appointment landed on the doormat. The next we were cheering from the rafters as Hazel smiled for the first time, came through surgery or reached some other milestone. Even the ‘baddies’ – those people we didn’t particularly want to be spending time with in another therapy clinic or the operating theatre – became friends and allies…all on the same side. This script was a true variety performance but with no rehearsal; just straight onto the stage and under the glare of the bright, uncomfortable lights. In reality the new script was no pantomime. That would be doing it a major disservice. No. It was, without question, a Love Story filled with dramatic, tense, edge of seat stuff. Heart wrenching at times yet utterly uplifting too. This wild, beautiful, challenging and desperately vulnerable little girl captivated our hearts from the very beginning. I soon realised that her extra chromosome was as much a part of her as the smile that lit up her entire face, or the cry she made each time she wanted to be picked up from her neonatal cot. Hazel had arrived. Not a Down’s baby, though of course she was…but Hazel Joanna. The audience began to fill up. Strangers became friends. A whole community that we previously knew nothing about took their seats in support of us, joining us even and becoming part of the story. Our story, now in the round. became part of a production much greater than we could imagine. Our first dream was a good one. It’s just that the script was far too limiting. Hazel, the dream changer, made certain of that. And whilst this new dream felt, at times more like a nightmare, it has still proved to be greater and more rewarding than anything we could have imagined. Better. Not because life is easy. The opposite is true. Daily life can be very challenging at times. Better, because Hazel has shown us there are more important places to go in our dreams. Places that include others and not exclude them. Places that show us what community really is. Places that force us to slow down and take life at a different pace. Places that cause us to take hold of what really matters and let go of what doesn’t. Places that reveal more joy than we could have ever imagined. Of course dreams don’t always come true, I know that. But Hazel has proved that they can change and open up a new, more fulfilling reality. And, after a while, the old dream becomes redundant. 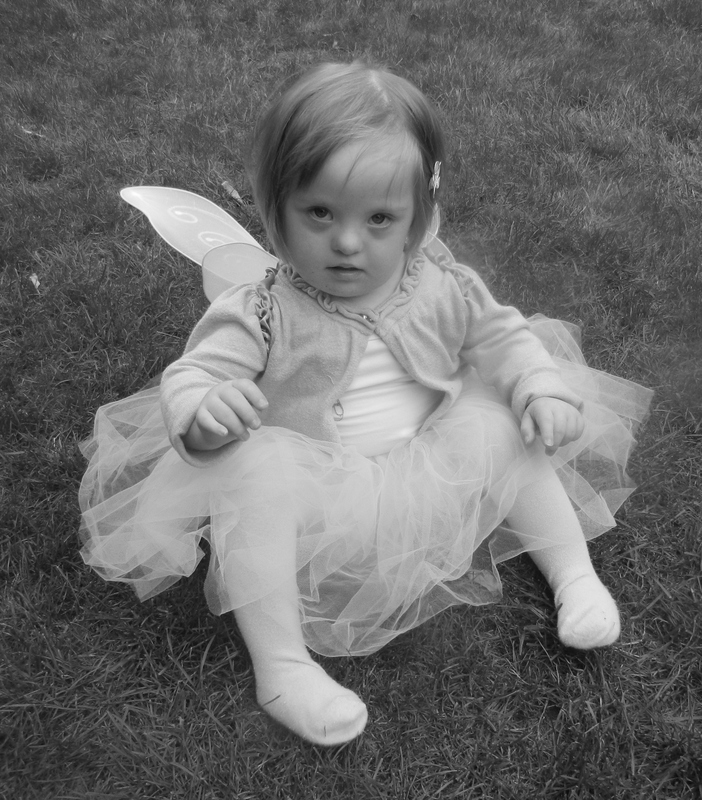 When Hazel was born I recall reading an article by mother of a boy with Down’s Syndrome. One thing she said stuck in my mind….that she wished that every family had a person within Down’s Syndrome in it. At the time, I could not get my head round this idea. It made no sense. Three years on and I get it. If you don’t know someone with DS, believe me, you are the one missing out! 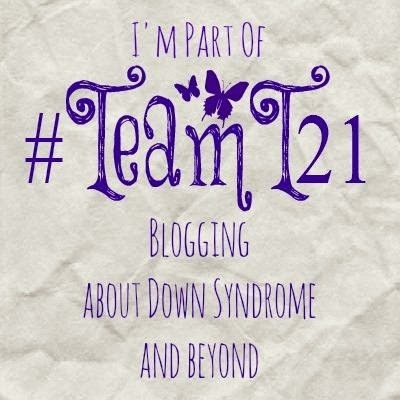 Categories: Uncategorized | Tags: Down Syndrome, Down's Syndrome, Dream, dreams | Permalink. Poignant. Beautifully written. Thank you for sharing your story. Hazel is adorable! Beautifully written and so very true. Our children surprise us with their starring roles but indeed we all need them in our lives and communities. My burning question is how you were advised at point of diagnosis? Time and again the picture is painted so very bleakly and termination is fed to us as the only option. The message is subtle and subliminal. Our children truly are the few that slip through the netof screening. Hi Hayley, thanks again for your comments. To answer your question…at point of official diagnosis which was a week later than this scan we were quickly shown into the office of a Genetics midwife. She made it clear early on that termination was immediately available and we could have one right up until the moment of birth if we chose to! I was never in favour of abortion but I now have much more empathy with women who opt for it – there was nothing else offered, just a diagnosis of fear and anxiety. No wonder women choose it in those circumstances. It’s a well worn cliche but if only we knew back then what we know now. The corridors of the maternity unit were filled with pictures of healthy babies. I didn’t see one picture of a child with disabilities or a syndrome. I love how our children – your Natty especially – are leading the way in terms of changing attitudes in the media what with the modelling etc but nothing would make me happier to see those walls in our maternity unit filled with pictures of all children, not just the healthy or syndrome-less ones! All it had was a poster of a worried looking mum to be who had clearly just found out that there was something ‘wrong’ with her baby. As I recall underneath were the contact details of the genetics midwife. Say no more.